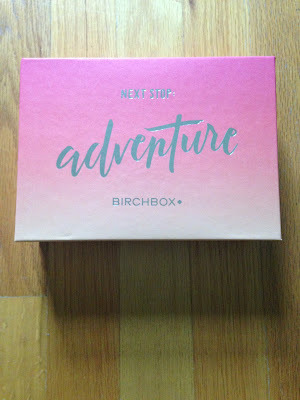 My Birchbox for June arrived! I was excited for this month's box because I had peeked at my account to see what I was getting and it looked like I would be getting more than the normal 5 samples per month. I was very happy about that. And they all sounded perfect for me! This month's theme was Adventure. 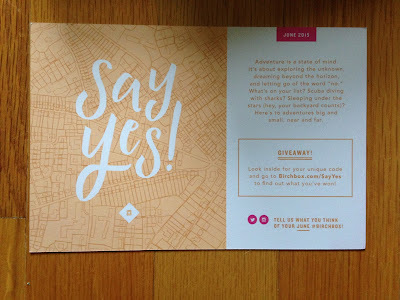 And they also gave all subscribers unique codes to enter in the website Birchbox.com/SayYes. Every code was a winner! I received 10% off my next order. I'm curious what others won, so if you subscribe and won something different, please tell us in the comments! The first sample I received was the item I chose this month. 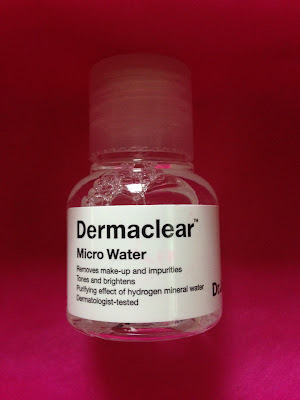 I was so excited to try the Dr. Jart+ Dermaclear Micro Water. 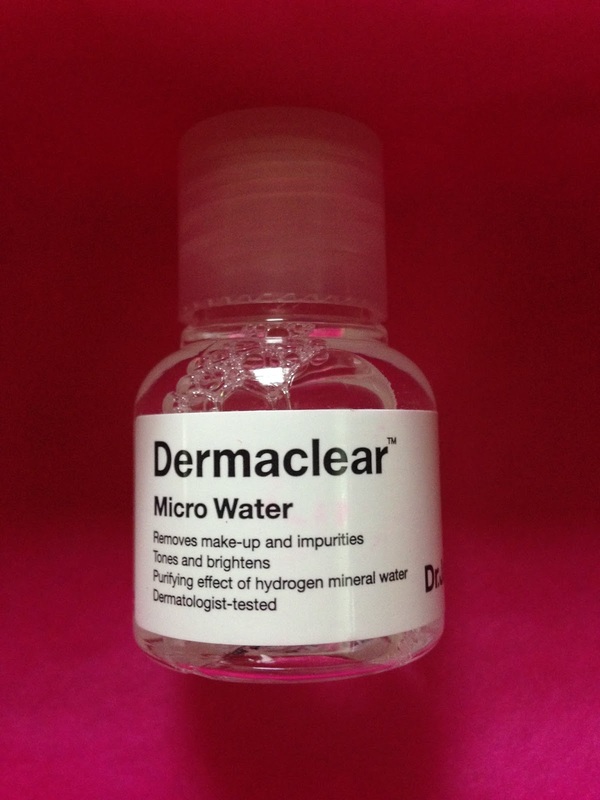 This is made with hydrogen mineral water and it cleanses and removes make-up. It worked really well, but I could feel it on my skin, so I prefer to rinse it off. The instructions say you can leave it on or rinse it off. My skin felt refreshed and clean after using this product! I'll definitely continue using it. 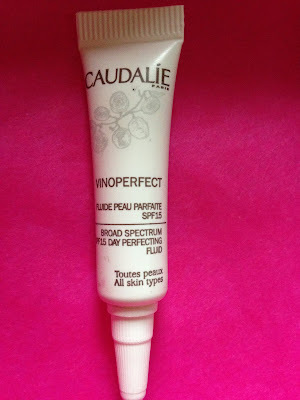 The next item I received was Caudalie Vinoperfect Day Perfecting Fluid SPF 15. I have tried the Vinoperfect eye serum and face moisturizer in previous Birchboxes, so I was excited to try this product. It works amazing! It blended into my skin so well and felt very soft. It has a subtle scent, and feels like you have no make-up on at all once it sinks in. Plus it has SPF! It's perfect! I love it!!! 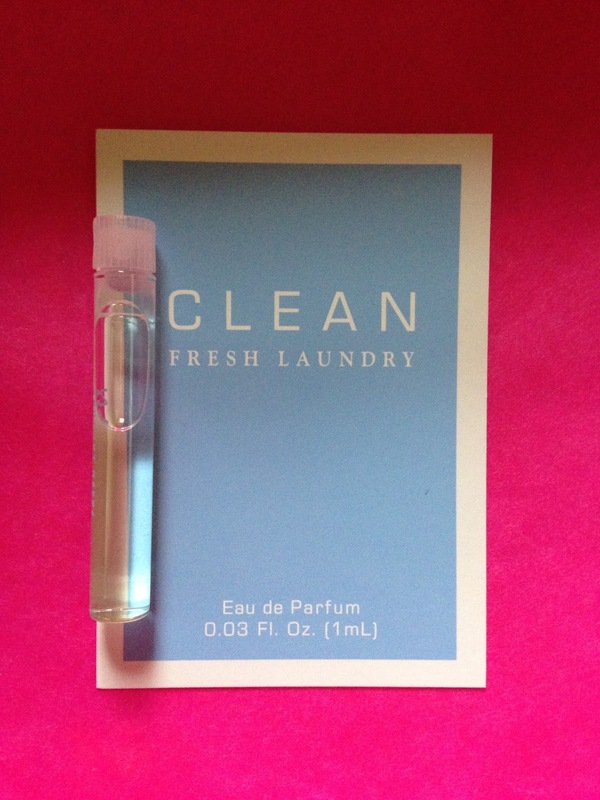 I also received Clean Fresh Laundry perfume. I usually hate receiving perfume samples in my Birchbox, but since I received more than 5 samples this month I didn't mind at all. This is described as a citrus, floral, and wood fragrance. It really did smell like fresh laundry that was hung outside to dry and I really really loved it! I prefer subtle clean scents and this was perfect! I applied it once and as I was putting the cap on I dropped it on my tile bathroom floor and it shattered, ahhhh! I was so mad at my clumsy self, because I was looking forward to using the whole sample to decide if I wanted to purchase it. So now I think I'll be buying the rollerball scent to get a fair trial of this amazing scented perfume! 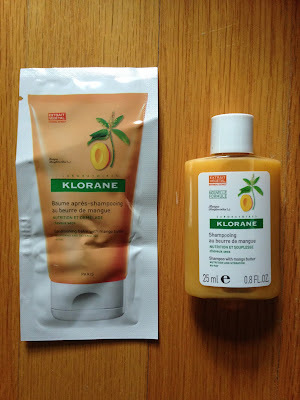 I also received Klorane Shampoo with Mango Butter, which came with a foil sample of Conditioning Balm with Mango Butter also. I'm not sure if I've ever tried mango scented products before and I'm not sure why, because this smelled great! I also love when Birchbox includes both the shampoo and conditioner so you can try them together. This is great for dry hair and is very moisturizing. And did I mention it smells amazing! It makes my hair smooth and shiny, but even if it didn't work well I would find a way to use it, just for the scent. Did I mention how great this smells?!? And I'm still not done, even though I've already told you about 5 products I received in this box. Believe it or not there are 2 more. I also received Marcelle Waterproof Eyeliner in Indigo. 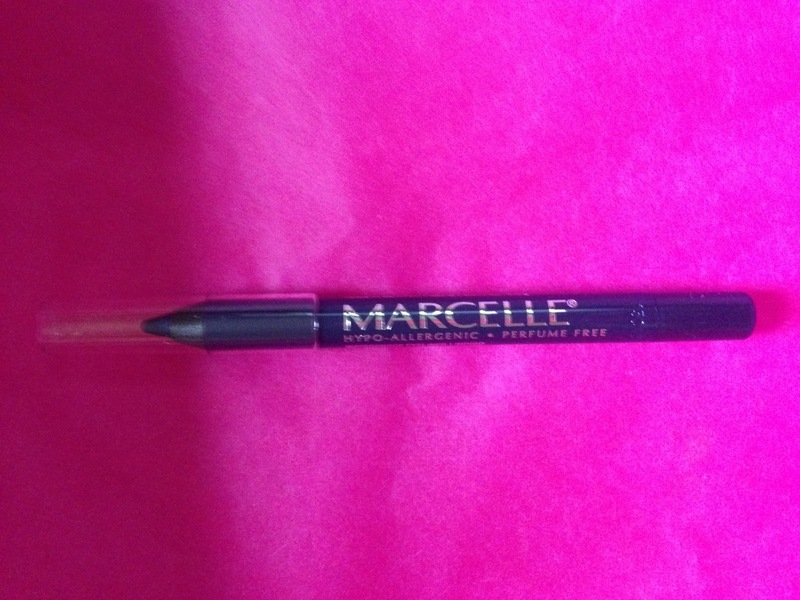 This has great pigment and was easy to apply. It washes off easily at the end of the day, even though it's waterproof. I don't wear eyeliner every day, but when I get a new one in my Birchbox I end up wearing it daily. And blue is my favorite color for eyeliner, at least on me! The final bonus item I received was L. Erikson Grab & Go Ponytail Holder. 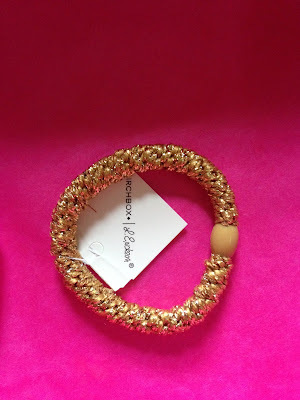 I received a gold hair tie, which will be perfect for the summer months. We sail a lot in the summer and this will be perfect, so my hair is not knotted after boating! And it will go with everything!!! My June Birchbox was great! I really loved every product and will use them all (except the perfume which shattered, but I'll be buying more because I loved it)! 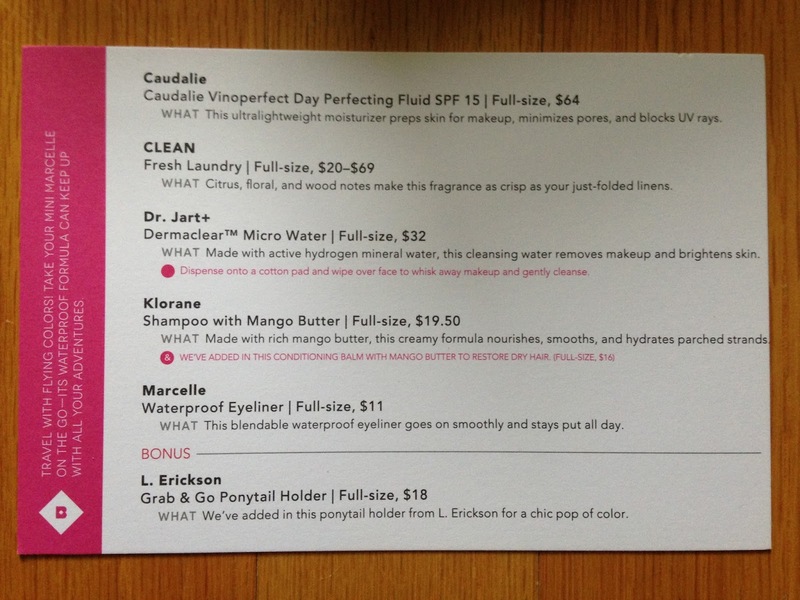 Birchbox already released the video with the sample choices for July. Here is a link to it if you haven't seen it yet. 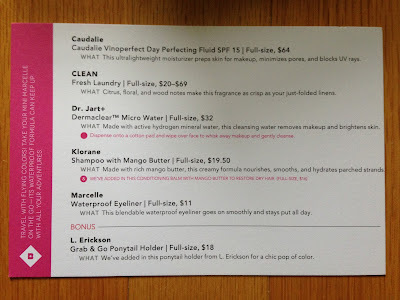 And can we talk about Birchbox Plus for July for a minute. I wanted to order them all! I'm sure they'll sell out quick because they're amazing, so snag them quick if you can. I ordered the SunnyLife Fouta Towel in Sorrento and the Hayden Reiss Beach Bud in Birchbox Exclusive Yellow with Pink Pineapple. I mentioned we sail and I can't resist sailcloth items, plus I'm very into pineapples this season. I can't wait to get them in July along with my next Birchbox!! !